Cape Town is lambasted by strong south east winds for most of the summer months and then in winter the wind changes and we have the north western gales hammering the Atlantic coastline. It is these winds that firstly Escom has tried to capture with its test facility at Klipheuwel and that Darling Independent Power Producer company, Darlipp will be trying to capture when it sets up its wind farm on a farm called Windhoek in the Darling area. South Africa has a growing demand for energy and current facilities will not be able to produce enough by the year 2013 to cater for the needs of all South Africas people. It is with this in mind that research has been undertaken by Eskom and the government to establish ways and means of meeting the energy needs of its people. 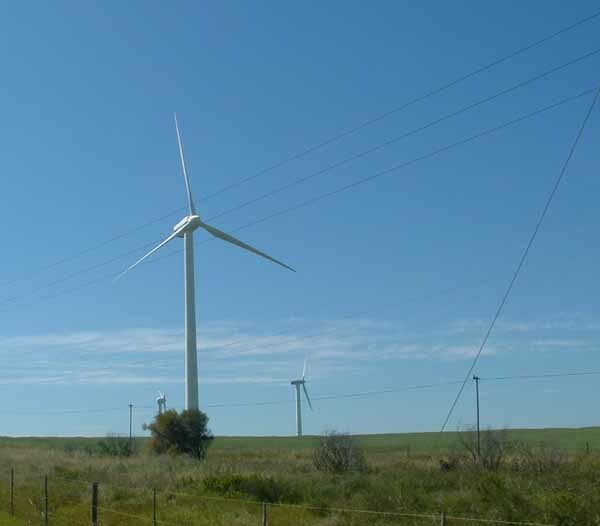 Green energy as wind energy is called is a renewable resource and it is this type of energy that South Africa hopes to utilise in the future in an attempt to save natural resources such as coal. The Eskom research project near Klipheuwel is very impressive. 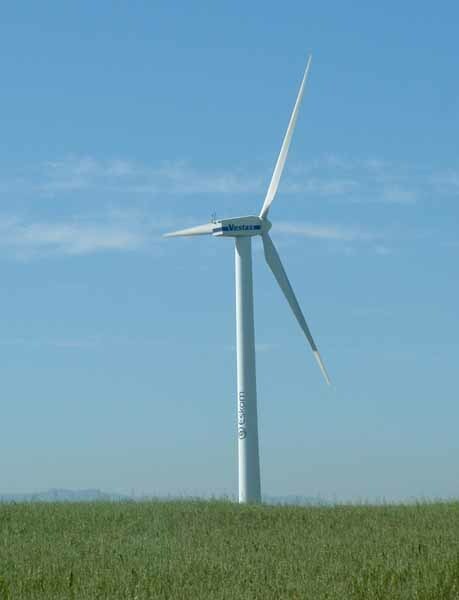 It has three turbines, a Danish Vesta and two French Jeumonts which have produced a total of 9,826 GWh since the commissioning of the first wind turbine in 2002. The new Darlipp company estimates that the Darling wind farm will be delivering about 13.5 gigawatt hours per year, once established. Cape Town requires approximately 10 000 gigawatt hours a year so energy produced by the new wind turbines will not make a large dent in the supply. Darlipp will be installing four turbines in the first phase of their project and envisage erecting a further six turbines on the same site at a later stage. Before doing so they need to first establish what effect the turbines will have on the surrounding areas. With a target of producing 4% of total consumption of energy by other means (not nuclear or burning of fossil fuels) these wind farms if successful will go along way to meeting the governments targets. South Africa is also researching a number of other projects to produce electricity as well. The solar dish stirling system is one of them but tests using this method have been fraught with problems and low electricity production so a decision has been made not to continue with this method until viable technology can be produced. A pilot biomass gasification technology project is being established in the Eastern Cape. Energy produced from the gasifier will be utilised for development within a community living around around a sawmill in the Eastern Cape.. Ocean energy is also being studied as a primary energy source for utilisation in South Africa. Technology to harness the ocean's energy is being sought at present. Fuel cells are being investigated by University of the Western Cape . A prototype 50 W battery charger is currently being developed to be ready for demonstration some time this year. The government should be encouraged to continue with its research for alternatives to nuclear energy as Koeberg Nuclear Power station could cause major environmental damage to the Western Cape should it have a nuclear accident. We hope and pray that this will never happen.